Hope you enjoyed Ari Lennox! 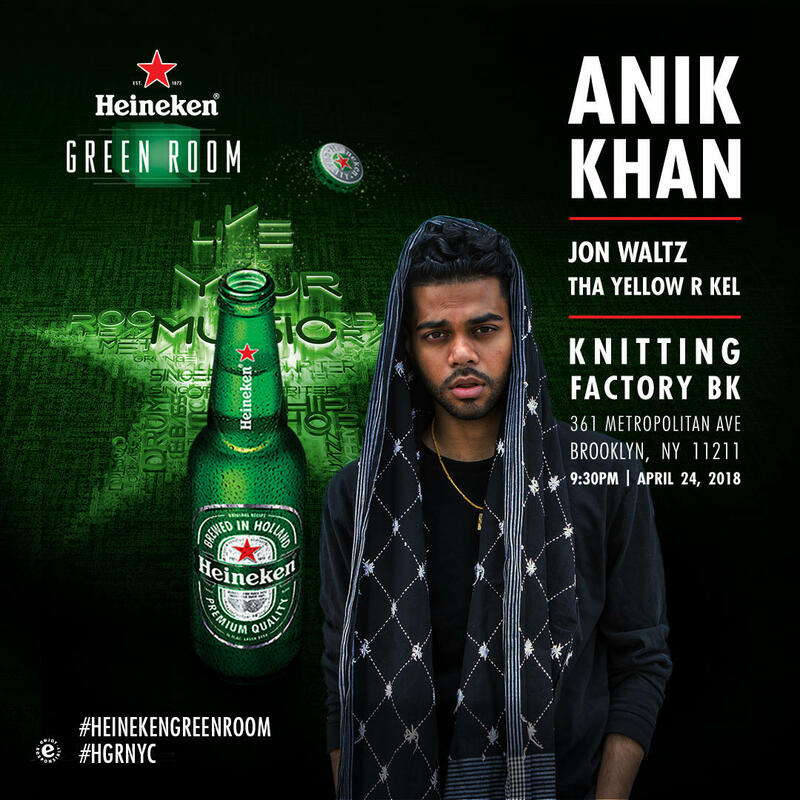 We’re excited to have rapper Anik Khan on the Heineken Green Room stage! Khan’s music, mixing his Bengali roots with his Queens upbringing, boasts a style and narrative that’s singularly unique. Fresh off the release of his EP Kites, a genre-bending project that explores the immigrant journey, Khan is poised for hip hop stardom. Come early for the opening performances by John Waltz and Tha Yellow R Kel. Remember, this event is open ONLY to Heineken Green Room Insiders. Insiders must RSVP by April 22 at 5pm. RSVP does not guarantee admittance, so please arrive early as entry will be first come, first served. You must be 21 or over to attend.